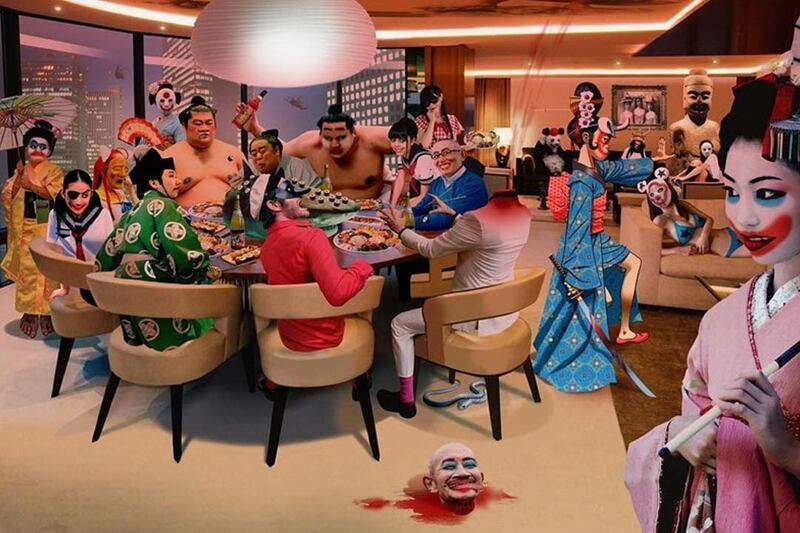 In the lead up to their new album, Gorillaz have unveiled a series of three multimedia stories recapping the recent events of band's central characters in ‘The Book of Noodle', ‘The Book of Russel' and now ‘The Book of Murdoc'. These three digital stories are the most recent piece of the puzzle to the group's mind-blowing mythology. 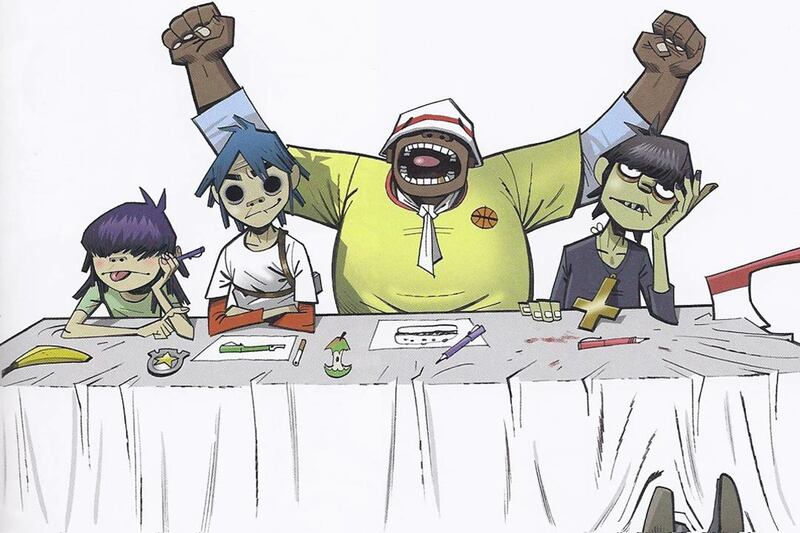 Gorillaz formed in 1998 as the brainchild of Blur's frontman, Damon Albarn, and comic book artist, Jamie Hewlett in response to the state of the music industry at the time. 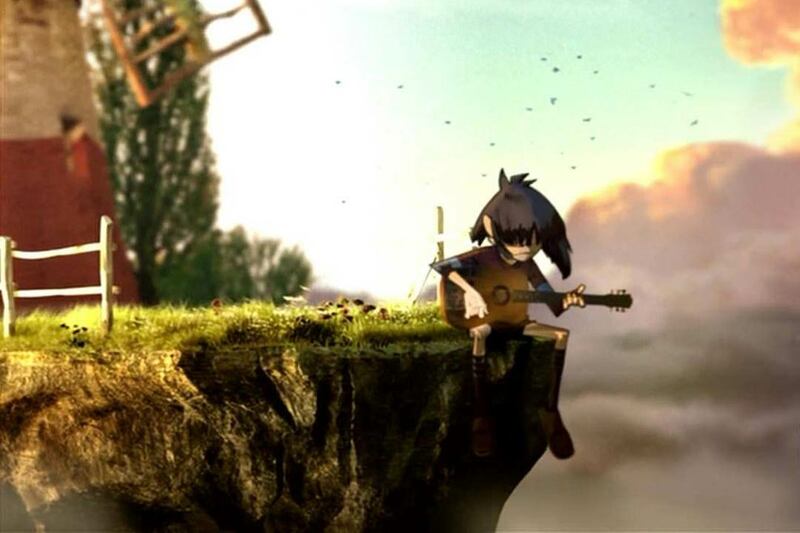 Since then the band has been telling the dark, and often twisted, story of ‘Murdoc', ‘2D', ‘Noodle' and ‘Russell' through an array of mediums including music videos, short stories, online games, films, biographies, fake radio programmes and audiobooks. The story is incredible, and almost impossible to piece together fully unless you've seen, read or heard everything they've put out. I'm not even going to begin to explain it on here because it's almost not the point. The point is that they refuse to be constrained by the boundaries of what they can and cannot do within their industry. And it makes for incredible results. Musically, the band is constantly delivering something fresh and different. Their timeless early records like ‘Dare', ‘Clint Eastwood' and ‘Feel Good Inc' offer an effortless collaboration of Hip Hop beats, urban vocals, orchestral sounds and, often, the unmistakeable falsetto of Damon Albarn. 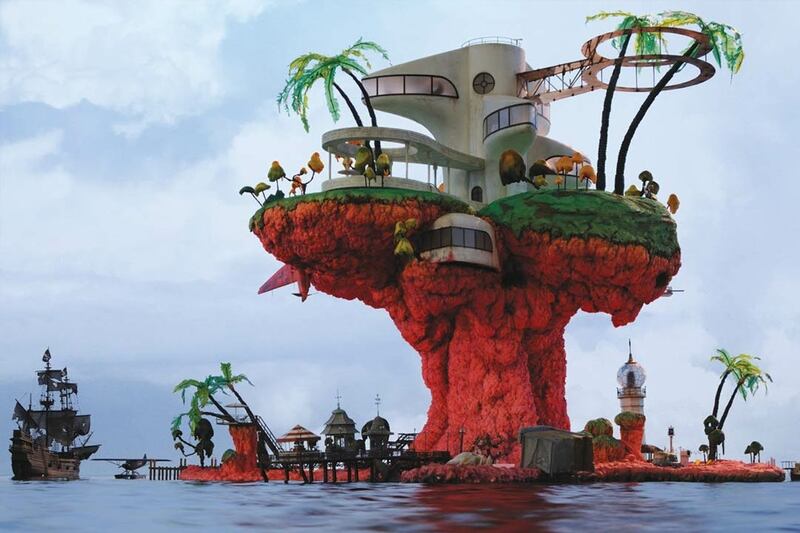 In their last album, ‘Plastic Beach', the band collaborate with a phenomenal diversity of artists including: Snoop Dogg, Mos Def, Lou Reed, De La Soul and Bobby Womack thus offering such a wide variation in musical styles and inspirations. ‘White Flag' combines the vocals of grime artists: Bashy and Kano with a stunning instrumental piece by The Orchestra of Syrian Musicians - who, by the way, were forced to dispand due to the conflicts in Syria, only to be later reassembled (with the help of Albarn) to perform at this year's Glastonbury Festival. This combination of styles and influences then permeate into everything that the band creates. Their music videos are stunning visual juxtapositions of comic-book illustrations, 3D animations and live action footage; and the fictional autobiography, ‘Rise of the Ogre' is a wonderful collection of hilarious band member interviews and anecdotes illustrated beautifully by Jamie Hewlett. 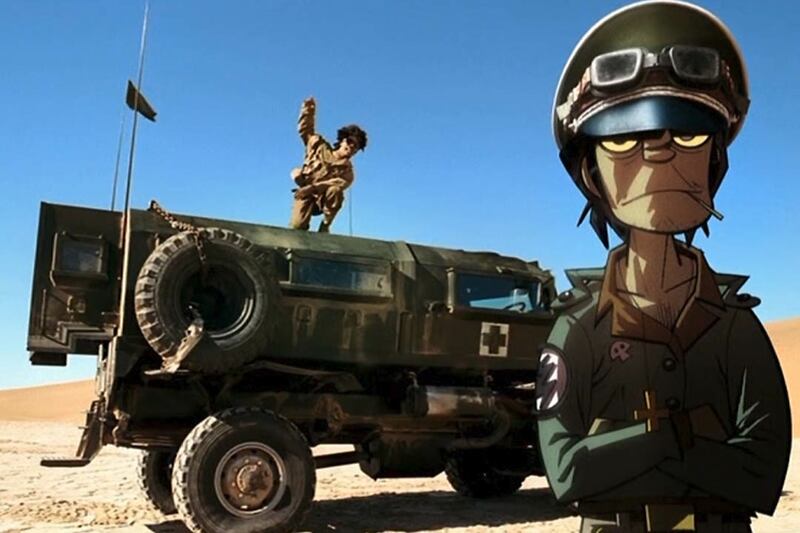 And it's therefore no surprise that the recent digital stories, ‘The Book of Noodle', ‘The Book of Russel' and ‘The Book of Murdoc', are equally great additions to the Gorillaz universe. The tales combine culturally inspired storytelling, appropriated artwork and atmospheric audio samples to create fascinating portraits of the fictional characters individual plot lines. In just 12 Instagram tiles the short tales manage to showcase the group's incredible imaginative talent once again. It's a theme they have always played on, particularly through the story of Murdoc. Plastic Beach itself is a clear metaphor for the band's feelings about the music industry after Murdoc describes is as “a giant piece of rotten plastic” that “looks idyllic from far away… but when you get closer you see that it's just landfill.” In all three of the recent multimedia stories there's a theme about taking down a higher power, and in ‘The Book of Murdoc' it's clearly states that: “the music industry is going down the toilet, and in dire need of Murdoc's legendary song-writing prowess”. In the real world, Albarn and Hewlett even turned down a nomination for the Mercury Prize because of their not-so-subtle opinions about the politics of it all. A move that only made them more respected. To date the band has won a Grammy Award, two MTV Video Music Awards, an NME Award, three MTV Europe Music Awards, and have been nominated for nine Brit Awards. There most successful studio album was of course ‘Demon Days' which went five times platinum in the UK and double platinum in the US. The combined sales well exceed 15 million. When you bring all this together, the Gorillaz brand is incredible, and one that all companies across all industries can learn from. If you fully understand your brand's values and allow creative thinking and seemingly unusual collaborations and influences to communicate them, you'll be easily setting the bar in your field. With a genuine interest in helping our clients, we become emotionally invested in their businesses. We become their creative partners and their success, is our success. ©2019 Arobase Creative Ltd. All Rights Reserved.